I am pleased to make two Design Team announcements today. First, Jen Carter has agreed to stay on as a full-time Design Team member. 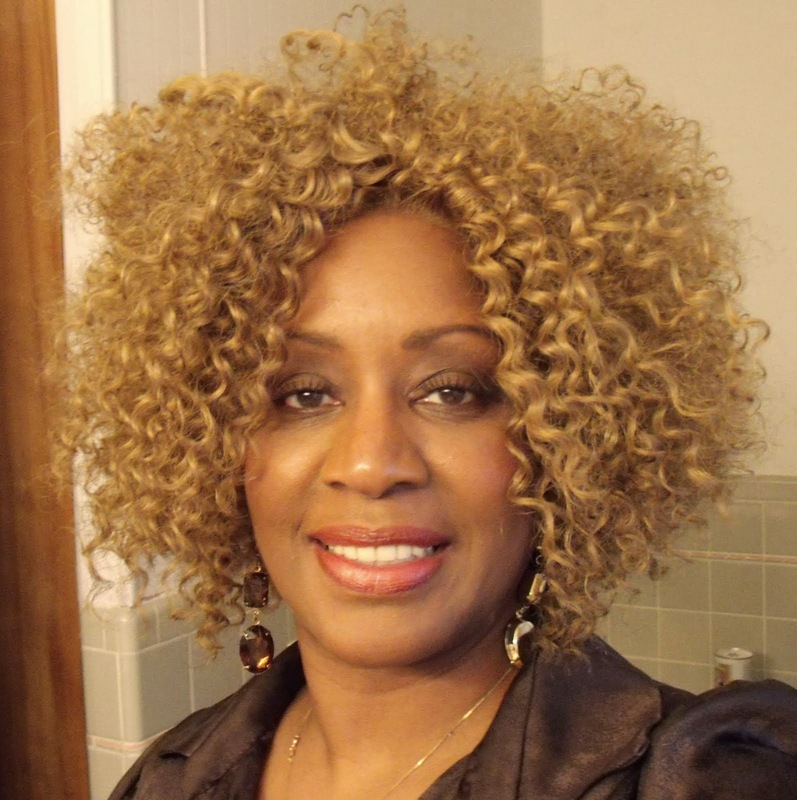 Her Guest Designer stint was due to expire at the end of this month, so we are thrilled we won't be losing her! I am also happy to announce that we have a new Guest Designer! 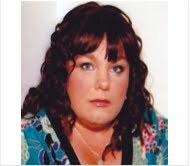 Ann Greenspan has agreed to post with us through the first of the new year. 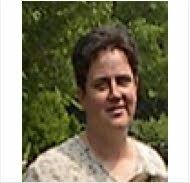 You can see some of Ann's work at her blog, Ann Greenspan's Crafts. 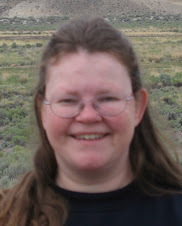 Please give her a rousing welcome! But first, here is a little bit about Ann...in her own words. I come from a very close family of 9, born in upstate New York near Lake George. My family is the driving force behind my getting into scrapbooking. I had a lot of photos that my father took of us when we were growing up, and I wanted to organize those photos into albums. But then I thought scrapbooks might be nicer so I made scrapbooks for each of my 6 brothers and sisters and all 13 of my nieces and nephews at the time. When the scrapbooks were done, I got into making cards. I started off with just a few punches, then dies, then stamps. After my pre-school teaching days were over, I taught card making classes at various craft stores. Now I make cards that I can donate to local charities where I live in Maryland with my husband and two dogs. My motto when making cards is to keep them simple yet elegant so others who see them will be able to recreate them easily themselves. I recently spent a couple of days with Fran at Hero Arts as guests of the wonderful owners. There we got to make cards designed and taught by some of the industry's best designers, including none other than Jennifer McGuire. One of the cards we made was a suspension card for Christmas (I will be sharing Jennifer's cards with you in a post after the first of October), and it sparked this idea for a Halloween card. Thank you Hero Arts for hosting this fabulous educational event, and Thank You, Fran, for taking me with you! I loved it and came home feeling inspired! First I die cut the hole in my card front and top layer (held together with a touch of washi) with a Spellbinders rectangle die. I set the card aside and worked on the front panel. I clear embossed it using the Frantic Stamper Cling Rubber Stamp, Fleur de Lys Background (FRA-CLG-4711), and then spritzed it with gold perfect pearls in water and set it aside to dry. Next I cut two of my skeletons using the Frantic Stamper Precision Die, Dem Bones Skeleton (FRA-Die-09237) using heavy card-stock. I glued the two sets of bones for the extremities together to give them more strength, then using a needle and thread, I pierced them and stitched them together with a single stitch per pair, and knotted the thread well. I put a small dot of glue on the knots in the thread to ensure they wouldn't come undone. I put a piece of strong tape from top to bottom, centered on one of the torsos and placed a strong piece of thread on the tape. I then added glue to the rest of the torso and affixed the other torso to the first, sandwiching the thread between them. When finished, I stitched the arms and legs into place. I used foam tape along the inside and outside edges of my top layer of the card and a small piece of the strong tape to attach my Dangling Bones by his central thread to the card panel, inside the diecut hole. I then attached the panel to the card front, taking care to align the holes. A bow made with the Frantic Stamper Precision DIe, Large Swirl Paper Bow (FRA-Die-09243) and spritzed with the gold mist (Perfect Pearls in water) finished off the card front. The finishing touch on the inside of the card was a plain black saying cut with the Frantic Stamper Precision Die, Large Trick or Treat (FRA-Die-09235). I hope you have enjoyed today's card. This one was a labor of love...and well worth the effort! Not only is this my version of a Clean & Simple card, it's also my first Christmas card of the year. This is a first for me because I'm always down to the wire when it comes to making Christmas cards. Maybe I'm starting a new tradition? We'll see. As always when I receive my Frantic Stamper dies I'm like a kid on Christmas morning. I rip into the packaging and then the creative juice shift into overdrive. 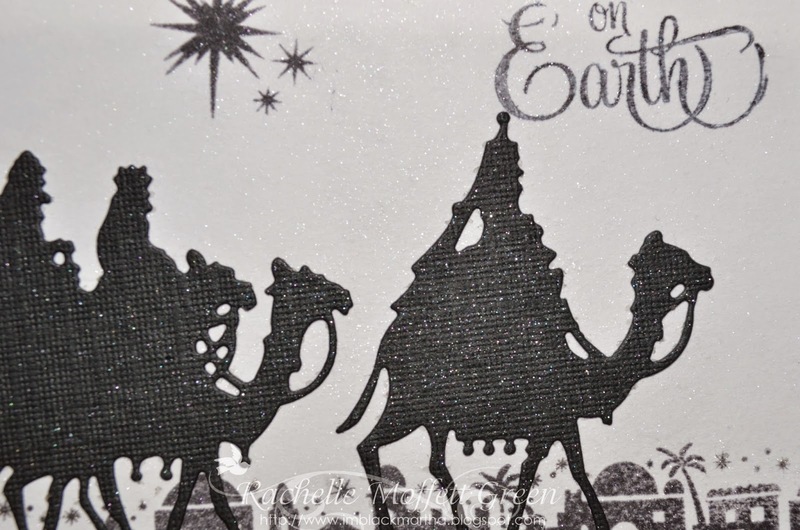 When I saw the Three Wise men Silhouette die I knew I wanted to try Clean & Simple. I knew I had stamps in my stash that would the die would be the perfect complement to. Selecting the papers were now problem at all. I used a corner punch a couple of stamps and voila! It took a couple of tries to get the placement right and when doing Clean & Simple there is not much opportunity to to hide mistakes! 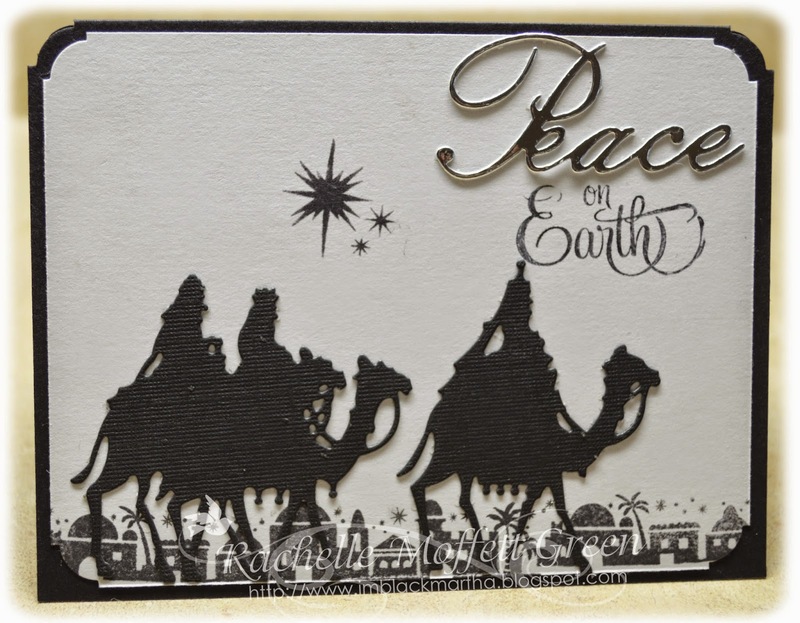 I used the new "Peace" die cut in silver foil paper to be eye catching. As I was trying to keep embellishments of a minimum, I sprayed the entire card with a blast of glitter spritz. I like the way it turned out so much I might use it as the cards I send out for the season. Finally, I'd like to say that as usual I am super impressed at the accuracy at when the Frantic Stamper dies cut. I have never had a bad cut as I have had with other dies. If you have not tried Frantic Stamper dies you are missing a treat. With the assortment continually growing you are sure to find something you'd like! One of the things that I really look for when buying a die is whether or not it can be used for more than one type of project. If I can't think of at least three ways I could use it then I won't get it. 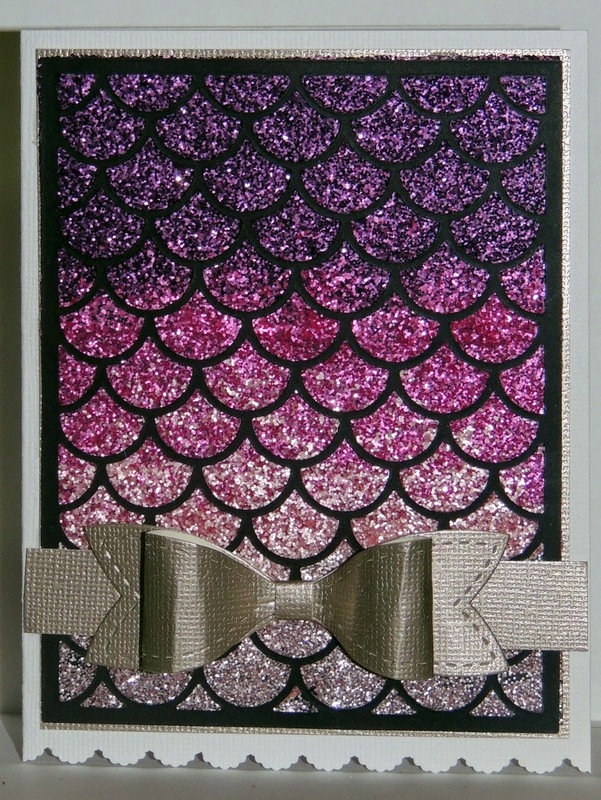 The Fish Scales Card panel is a fantastic die with an infinite amount of different ways it can be used such as the background for a mermaid or fish or dragon, multi-coloured inserts, layered over a print or used as a mask! For my card I played around with different glitters to create an ombre effect that I really liked on a piece of blank card. I used 'Glue and Seal' with distress Glitter and went layer by layer, making sure each layer was dry before adding the next one. Once finished, I die cut the Fish Scales from a piece of black card and layered it over the ombre glitter panel. This was super easy since this panel features a border around the die cut that is wide enough to add glue and stick the panel securely. To finish off my card I die cut a Solid Paper bow from a scrap of metallic card stock then layered it over my panel to finish it off. Originally I had planned to add a rhinestone to the centre of my bow but I kind of didn't think it was needed with so much glitz already on show! When designing this and some of the other panel dies I wanted to create something that would allow the person using it to create lovely detailed cards with very little effort...I wanted to let the dies do the work for you. That doesn't mean that you can't make a more complicated card, but I think that this card demonstrates that simple can be exquisite. To make the card I used a Spellbinders die for the base. I had to cut it down and piece it to fit the 5"x7" card base, to which I had layered a 4 3/4"x 6 3/4" piece of amethyst cardstock. 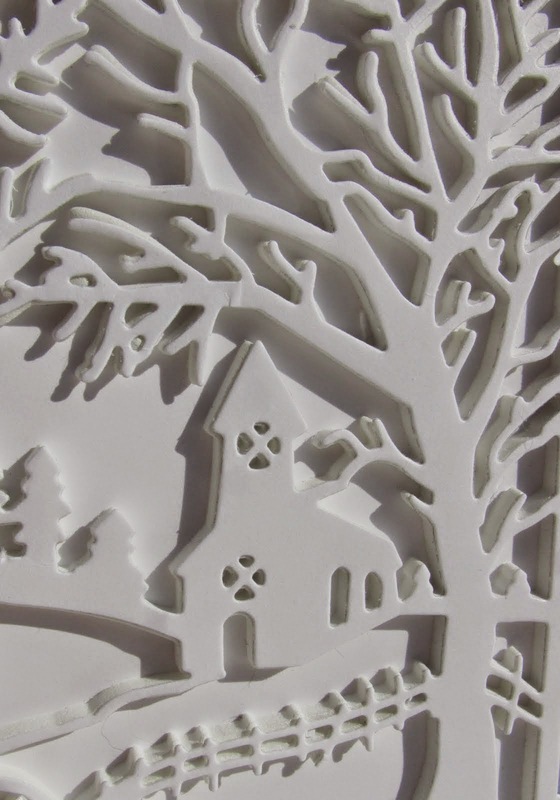 To make the focal piece I die cut the Frantic Stamper Winter Church in the Wildwood (FRA-Die-09285) twice, once out of white craft foam and again out of white card stock. I glued them together with Tombow Mono Adhesive, applied sparingly and spread out on the back of the card stock. I also use the Mono Adhesive to apply the piece to the card. All that was left to do was add the bow. I hope you have enjoyed my card and my tip, and will give some of the detailed Frantic Stamper die panels a try!